What a day to celebrate! 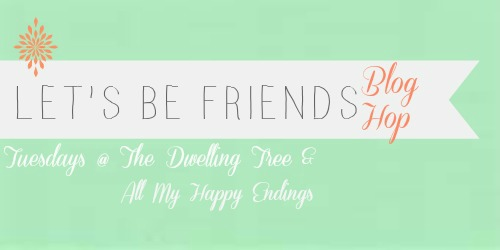 This is the 53rd week of the Let's Be Friends blog hop! Thanks for joining us on this special day. Chelsee and Tiffany are extremely delighted to see the way this hop has grown and love to see your faces each week! "Motion of the Ocean:Best of #THEBACHELOR Tweets Week 5"
Hi Lovelies. This is Chelsee. I have to say picking winners gets harder every week. You all never disappoint when it comes to presenting us with amazing posts to read. I had the pleasure of picking a winner this week and I found one that I think you all will enjoy reading as much as I did. Kristyn is an excellent writer that blogs over at Carolina Fireflies! I swear if there is something you believe may be a grammatical error she is the one you should talk to. She blogs about pretty much everything. I first met her in a sorority linkup that we hosted together along with others a few months back called, "Greek is Greek." 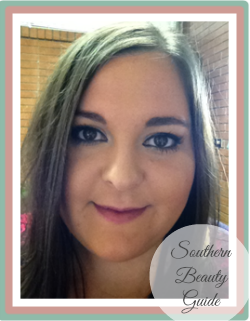 Make sure you head over and check her blog out. Who knows she may ever be one of your sorority sisters! Her Post, "Motion of the Ocean: Best of #THEBACHELOR Tweets Week 5" sparked my interest from the moment I read the title. Being a fan of #THEBACHELOR I was super excited to see what tweets she picked out, I found that she seriously picked some of these best tweets ever. I never realized that so many people felt so strongly about the show. Thanks to this post I now know the true meaning of "Motion of the Ocean." This is actually a weekly post topic that she has on her blog each week to correspond with the latest Bachelor episodes. I am personally a fan of the show and so this post was right up my alley. Basically she shares her favorite tweets about the latest episode. I know that when I was reading them I was laughing pretty much the entire time. The great thing about her posts each week is that if you missed the episode the tweets provide you with a mini re-cap of the episode. This is the first week that I read this post and I know that I will be tuning in to what she has to say in the future!